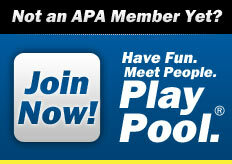 the 3rd Largest APA Franchise in the World! THE 2019 SPRING SESSION IS UNDERWAY!!! Now is your chance to get in on the action for FREE! Call or email the office now to see what’s available! · You must send an email to office@teamapa.com with your division number and roster before this promotion will be applied to your team. · Moving a team from a current division to another is NOT considered a NEW team. · Must not contain more than 3 common players from a team in the prior session. · Teams may still owe applicable "greens fees" to the host location. · The intention of this promotion is to encourage growth with new players and teams and to increase participation from current players in our league. It is not intended for current players to consistently reorganize and shuffle team members around to receive discounted weekly dues. While some membership cards require you to be able to jump the cue ball, bank it off three rails and sink the 8-Ball blindfolded, getting an APA Membership is much easier. May 27 2019 7:00PM Memorial Day - No Play! Jun 17 2019 10:00AM MVP/Top Gun RSVPs due!! Jun 29 2019 9:00AM MVP/Top-Gun 9Ball - All Skill Levels! 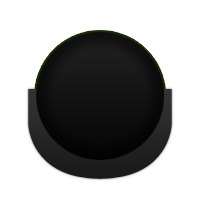 Jun 30 2019 9:00AM MVP/Top-Gun 8Ball - All Skill Levels! Sep 30 2019 5:00PM MVP/Top Gun RSVPs due!! Oct 12 2019 8:00AM - Oct 12 2019 11:30PM MVP 9Ball - All Skill Levels! Oct 13 2019 12:00AM - Oct 13 2019 11:30PM MVP 8Ball - All Skill Levels! Dec 22 2019 12:00AM - Jan 1 2020 11:30PM No Play!! Enjoy Your Holiday!